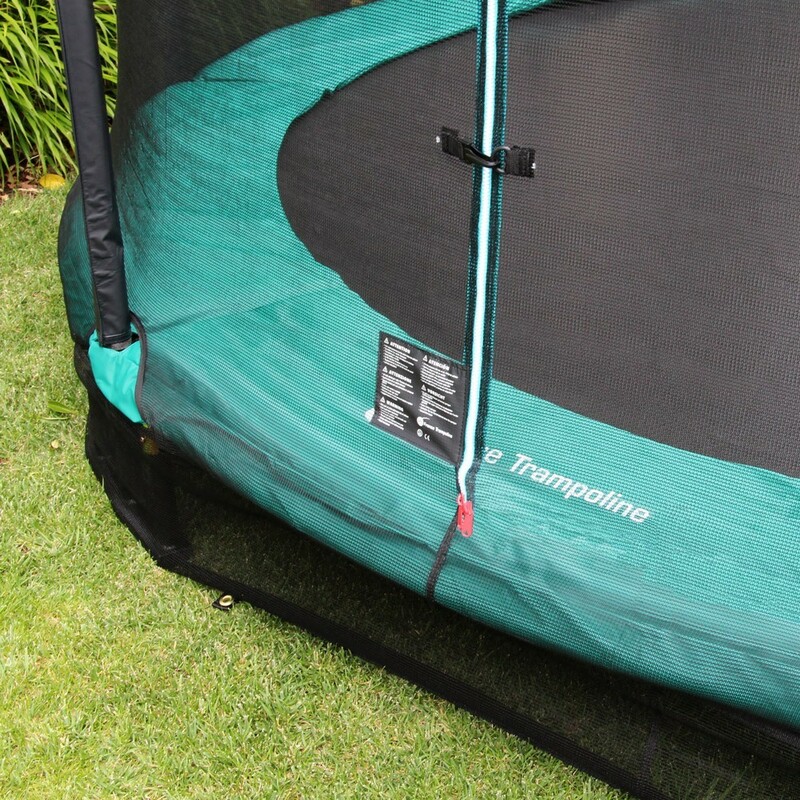 The 14ft in ground trampoline, discreet and dynamic for the whole family. 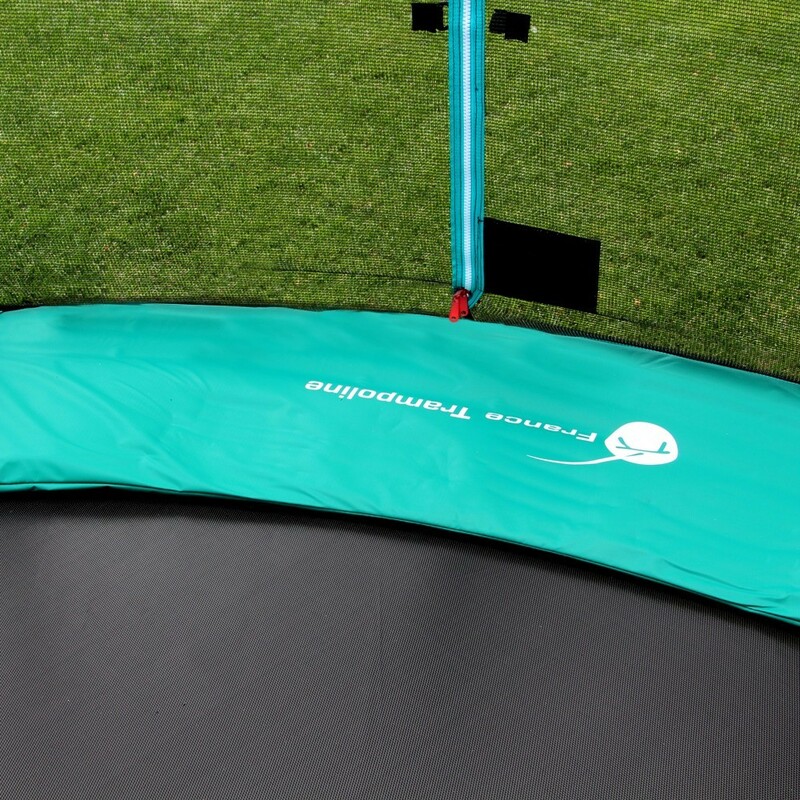 The new in ground Jump'in 430 trampoline has been especially designed to be placed into a garden without obstructing the view and offers a huge jumping area. 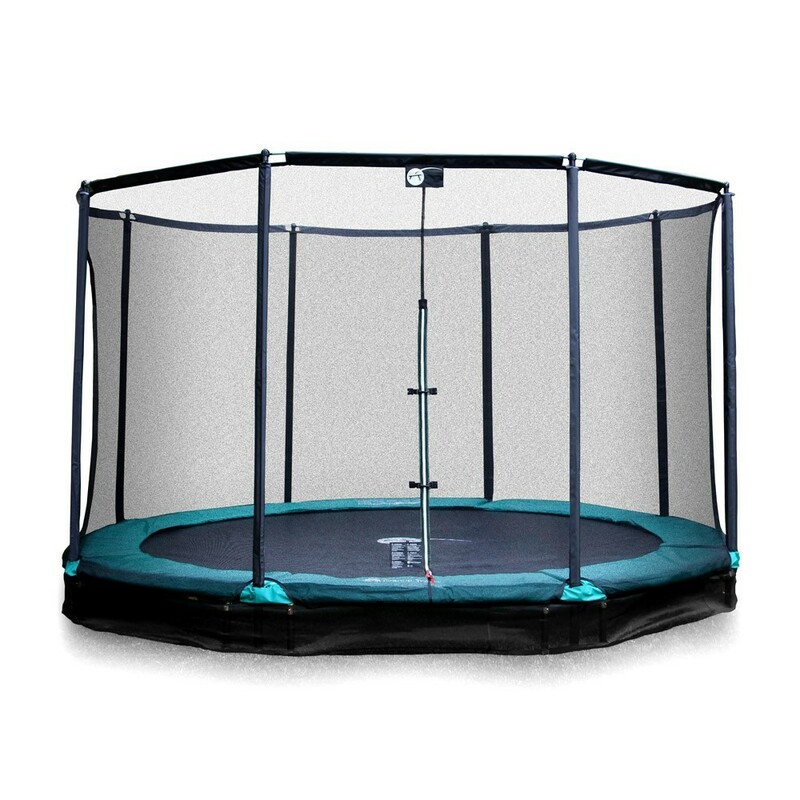 - This trampoline of 4.27 m in diameter has very resistant framework: the tubes have a 42 mm diameter and 2 mm thick steel which has been hot-dip galvanized and designed to stay outside all year round. 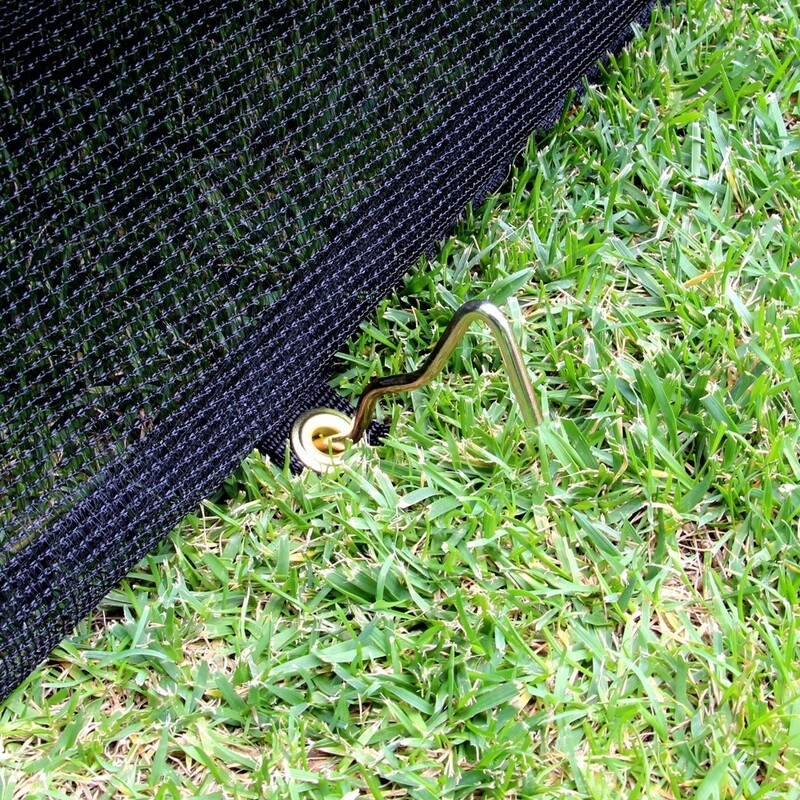 - The polypropylene mesh jumping mat has been UV protected for years of use. This jumping pad is held by 96 springs of 215 mm in length for a high quality, low-effort bounce. 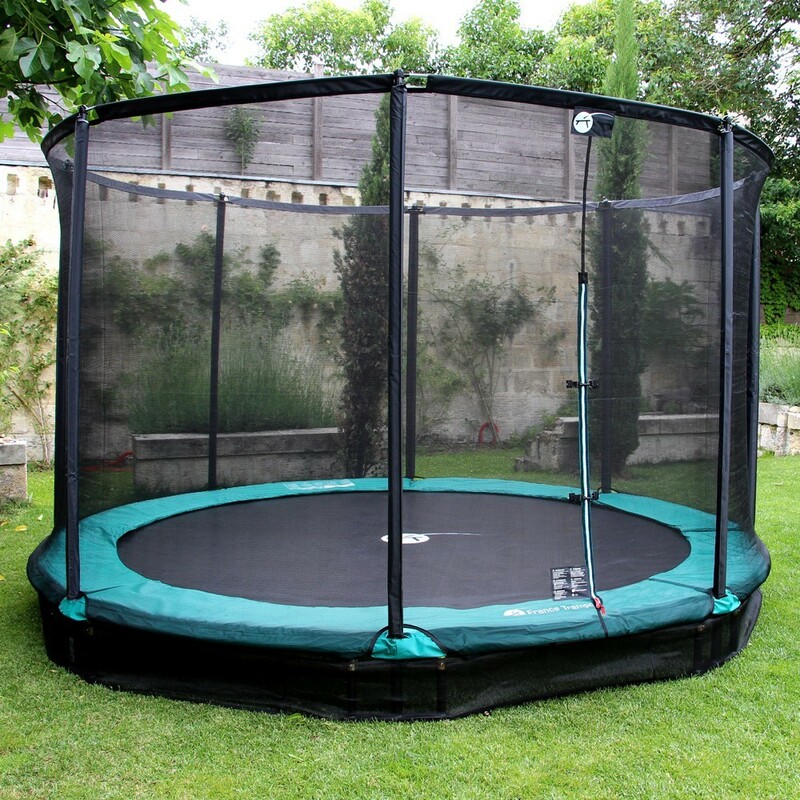 - This trampoline is practical for families who want a fun-packed but discreet play area. The thick frame pad of 30 mm will absorb any stray landings outside of the jumping area of 10,52 sq.m. You will feel completely free on this family sized trampoline which can withstand up to 120 kg in weight. 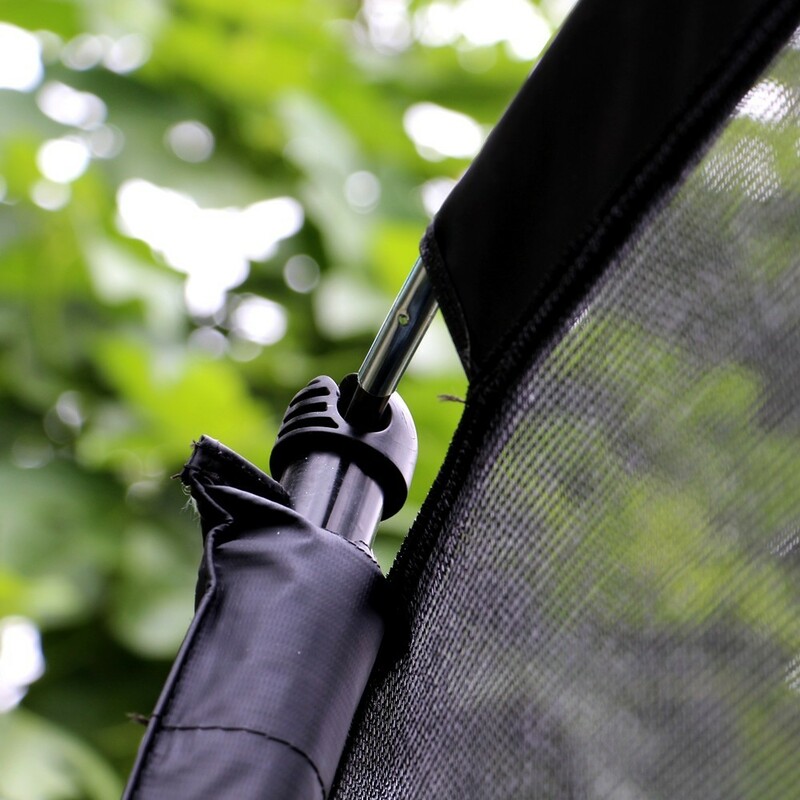 - The materials used for the frame pad and safety skirt have been designed to remain outdoors all through the year. 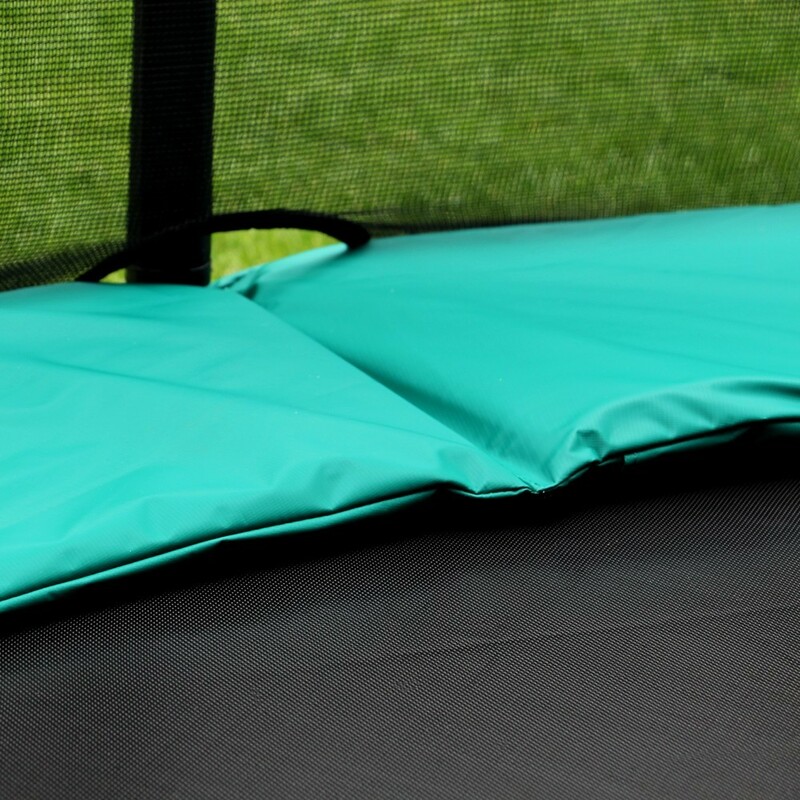 Its thick, green PVC covering (650 gr/m²) will blend very naturally into the garden and give an elegant finish to your Jump'in 430 garden trampoline. 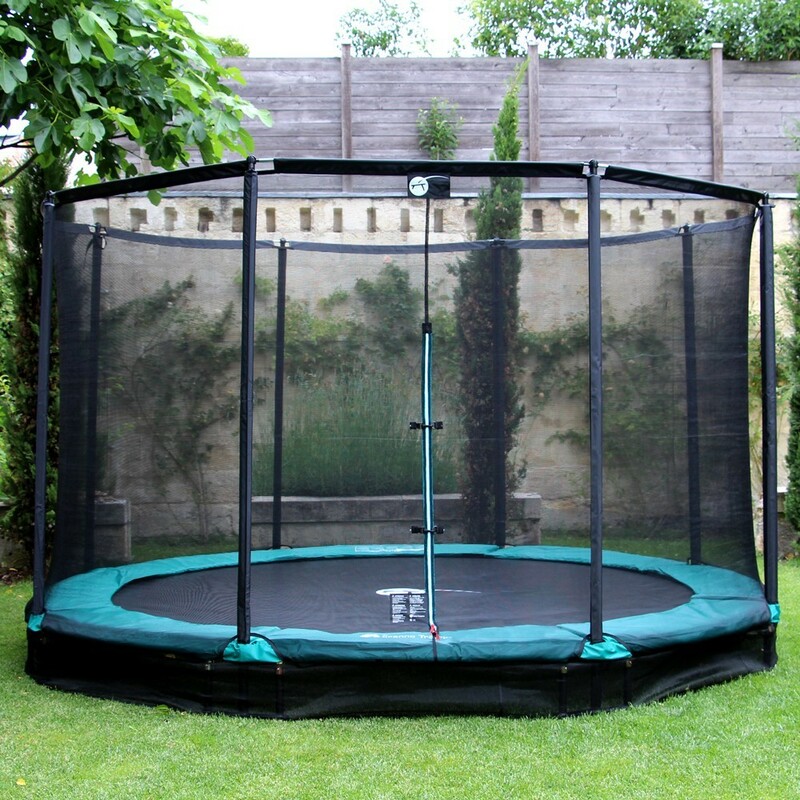 - This trampoline is provided with a safety enclosure that stands 2.25m from the ground with 8, 25 mm wide net posts. The top of the net is held in place with fibre glass rods for optimal tension. Click here for installation guide !